50 percent of Togo people are Christian, 50 percent Muslim, but 100 percent are Voodoo. This is a video of two location in Lome, Togo West Africa where the people are trying to give the evil to another person. This is alll like praying in a way, to keep the evil away, maybe they believe the new person is already evil, and that allowed them to hit the voodoo items in the road. Although you say you do not believe in Voodoo, the foreigners also give this religion power by obeying. The white in Africa for the most part refuse to defy Voodoo, and this grows in them, until slowly the adopt the fear of the power of Voodoo. Real or unreal the fear is real. "I would not go there, they have voodoo." What that means to me, is he believes in voodoo. 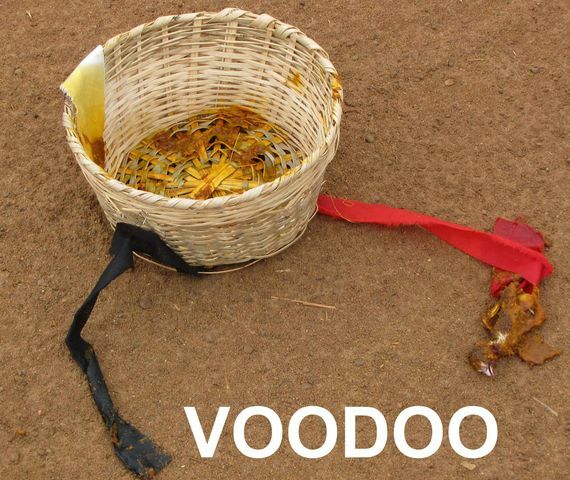 The majority of foreigners living in West Africa learn to believe in voodoo. It is easy enough to say God will protect him, it is another thing to believe God will protect you from voodoo.